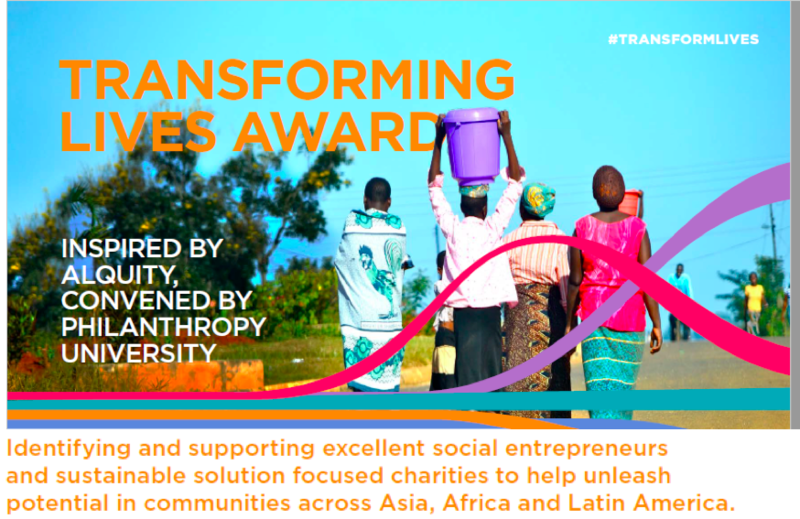 Register now for the Transforming Lives Awards — an initiative founded by Alquity and convened by Philanthropy University — to find and fund nonprofits and social enterprises supporting growth in sustainable livelihoods and the achievement of UN SDG 8; to promote sustained, inclusive and sustainable economic growth, full and productive employment and decent work for all. Award winners will receive between USD 25,000 to USD 100,000 in funding. Critically, the winning organizations will demonstrate a pathway to a sustainable funding model, even if their current model requires donor funding. Eligible organizations must be working towards SDG8, and operating in one of the following countries: Egypt, Ghana, Kenya, Morocco, Nigeria, South Africa, China, India, Vietnam, Brazil Chile, Peru or Mexico.